Do you miss fluffy pancakes, waffles, and homemade cookies? 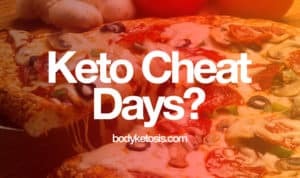 Keto life doesn't need to be that hard and continuous fight with cravings. The secret ingredient is keto friendly low-carb flour you can bake and coat almost anything with (in moderation). As low-carb flours can be generally pretty pricy, it's cheaper to buy them in bulk online. 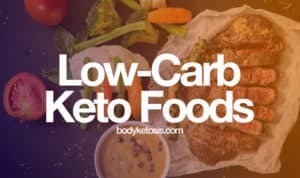 This list was created essentially for myself to survive keto cooking, but now I am sharing with you guys. Enjoy! Almond flour is one of the best low-carb alternatives to regular flour. It's a low-carb staple for everyone following the keto diet. 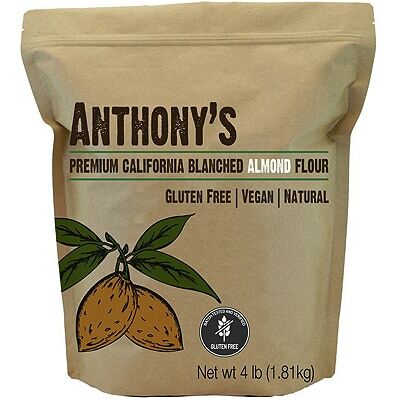 Anthony's almond flour is a premium quality product. It's made 100% of natural almonds and doesn't contain any preservatives and isn't steam pasteurized. Almond flour is especially suitable for keto diet thanks to its high-fat content, and lack of gluten. If you want to give more structure to your goods then add some additional eggs or baking powder. Almond flour is perfect for muffins, cookies, casserole, bread, pizza. Coconut flour is another great flour substitute for your low-carb and keto goods. It's made from dehydrated coconut meat after most its fat has been extracted to produce coconut oil. 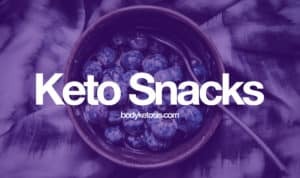 It's another staple that should live in your keto pantry. It's an entirely different beast because it soaks up liquids and moisture like a sponge. 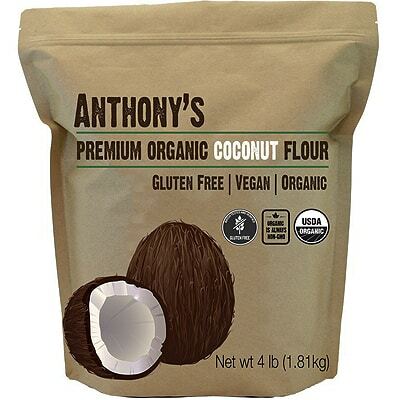 Anthony's coconut flour is sourced from the finest coconuts in the Philippine isles. It's verified gluten-free and certified organic by California Certified Organic Farmers. It's high in protein and fiber - which will be essential during the keto diet. Coconut flour is perfect for pancakes, cookies, bread, cakes, waffles, crepes. Psyllium husk is often used medicinally as a colon cleanser, but in the keto kitchen, it is a thickener that helps the recipes bind together. It gives the finished product a great crumb-like texture. 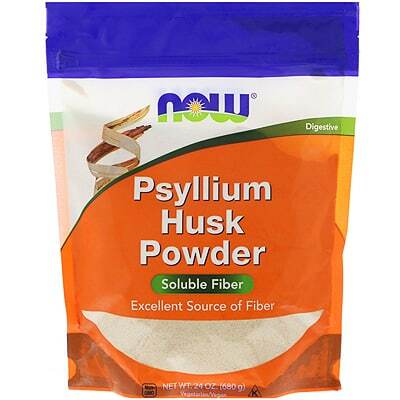 In addition to baking, NOW psyllium husk powder is an excellent source of soluble fiber. A serving of powder supplies 7 grams of fiber - that's crazy! You can also take it as a fiber supplement during a keto diet. Psyllium husk powder is perfect for gluten-free baking and an ideal binder in recipes. Psyllium Husk powder is perfect for bread, cakes, pies, pancakes, gravy. Peanut flour is made from crushed, fully or partly defatted peanuts and is highly protein dense. 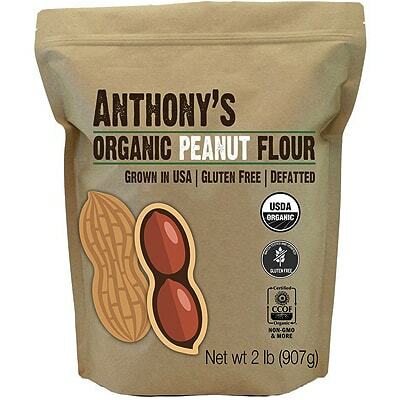 Anthony's peanut flour is made from organic high oleic raw peanuts, batch tested and verified gluten-free. High oleic peanuts are more stable than traditional peanuts, resulting in a more stable peanut flour. Although it's an excellent low-carb substitute for regular flour, it still has slightly higher net carb content, than other keto flours in this list. So keep that in mind and use it in moderation. From the taste department, it has a nice nutty flavor. Peanut flour is perfect for smoothies, cookies, bread, cakes, pancakes. Are you adventurous? Want to try something new? Cricket flour is the perfect choice. Cricket flour is an entirely new type of product in the market. It's full of protein, vitamins, and minerals. It has a very mild, slightly nutty taste. Even Michelin star chefs have started using it because it has such a neutral taste that it's able to enhance the flavor profile. 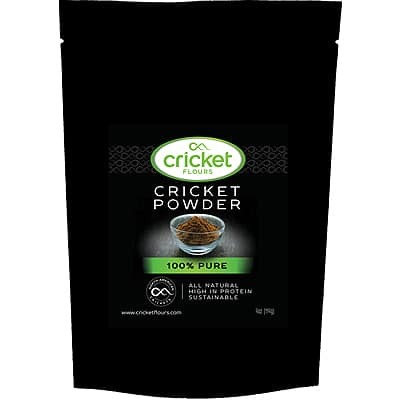 Cricket flour is made with crickets raised in North America. Simply add a serving to your favorite shake or replace some of your normal low-carb baking flour with this. Cricket flour is perfect for baking, shakes, smoothies, pizza. Flaxseeds are one of the most nutritious seeds nature has to offer. They contain essential Omega 3s and are a great source of vitamin B. 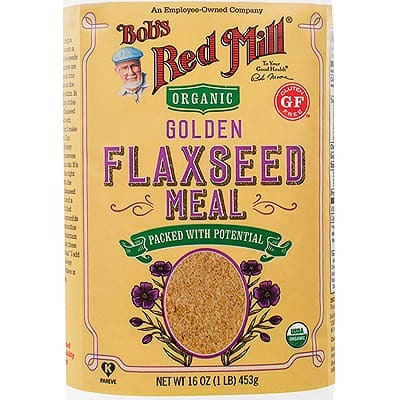 Bob's Red Mill Golden flax seed is high in alpha-linolenic acid, an essential fatty acid. It also contains lots of iron, protein, and fiber. It's gluten-free, kosher, vegan and paleo friendly. Flaxseed meal has a delicious nutty flavor, and you can also use it as an egg replacer (add 1 tbsp. ground flax to 3 tbsp. water for each egg). Flaxseed meal is perfect for bread, pancakes, muffins, cookies, nutty cakes, scones, shakes, smoothies. The people of the ancient Aztec and Mayan empires revered chia seeds as vital nourishment. These mighty, gluten-free seeds are packed with Omega-3, protein, rare antioxidants and fiber. Nutiva's organic ground black chia seeds are a great low-carb flour substitute option for your keto diet menu. These chia seeds come in 2 flavors: black and white. A 3 tbsp. serving of chia has 15x more magnesium than broccoli, 30% more antioxidants than blueberries and 2x more potassium than bananas. 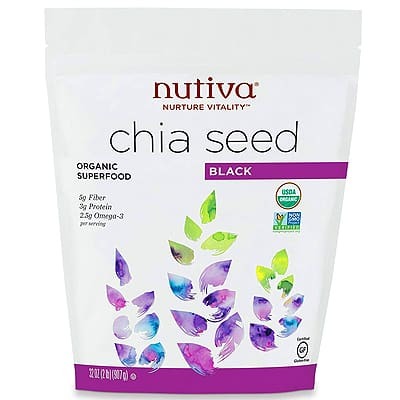 Nutiva ground chia seeds are also a great vegan replacement for eggs in baking recipes. Ground chia seeds are perfect for yogurt, pancakes, shakes, smoothies, gourmet thickener, egg replacement. Ground sunflower seeds are often used in pre-made baking mixes as their flour of choice. 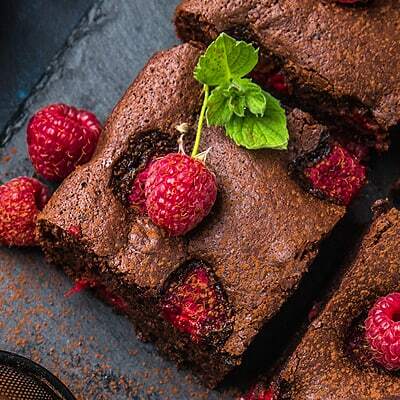 They make for really chewy cookies and brownies! Sunflower seeds are also ideal for those who are allergic to any of the nut flours we mentioned above. The only downside is that it's harder to find in regular grocery stores, but ordering from the Internet is anyway cheaper so that shouldn't be an issue. 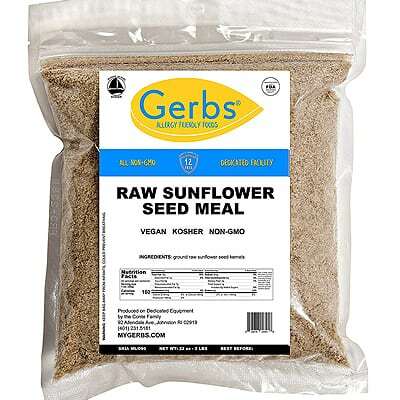 Gerb's Sunflower seed meal is all-natural. It doesn't contain any trans-fats, oils, chemicals, preservatives or nothing artificial. The way mother nature intended these foods to be, made from scratch, to taste great, with a passion for your health. Ground Sunflower seeds are perfect for coatings, cookies, shakes, smoothies. Oat fiber it’s great for digestion, weight management, healthy cholesterol levels, and a perfect low-carb flour substitute. Anthony's oat fiber is mild-tasting and finely powdered, so it mixes easily with everything from smoothies to pancake batter. 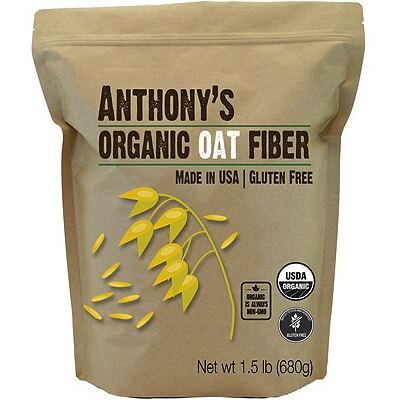 Anthony's oat fiber doesn't contain any preservatives, fillers or additives. It's also batch tested and verified gluten-free. Keto diet needs a high-quality fiber supplement, to make your tummy happy, and oat fiber is great just for that. You can take it as a fiber supplement, add it to your smoothies and use it for cooking. Keep in mind that it has a brown color, so your food may change color. Oat fiber is perfect for crackers, bread, bagels, pancakes, smoothies, shakes. Acacia fiber is a food-based prebiotic that can nourish the beneficial bacteria in the digestive tract. Rich in soluble fiber, pure acacia powder is sourced from the sap of the Acacia Senegal tree, a plant native to parts of Africa, Pakistan, and India known for its numerous health-supporting properties. 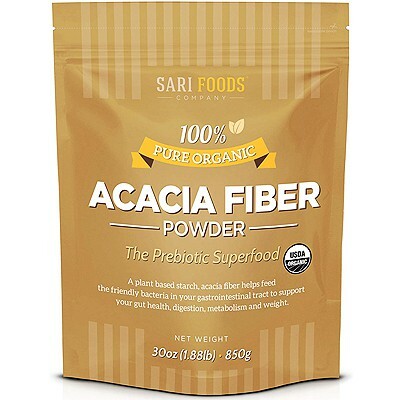 Sari Foods acacia fiber is 100% food-based and naturally occurring, our bodies can more easily recognize, extract and utilize this powerful superfood. Due to its naturally subtle taste, our acacia fiber pairs well with both sweet and savory dishes. Oat fiber is perfect for smoothies, shakes, desserts, soups, stews, sauces, bread. Xanthan gum acts as a thickening agent, allowing the dough to stretch and rise just as regular flour would. Think of a pizza crust, of which you can also stretch and roll easily. In keto kitchen, adding xanthan gum to a nut or a seed flour will also create the same effect. It's the secret ingredient. 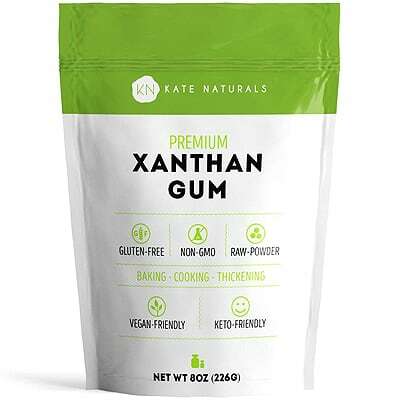 Kate Naturals xanthan gum is 100% natural, gluten-free, non-GMO and keto friendly thickener, and flour substitute. It has no distinct flavor, so it blends right into your favorite recipes without altering their original great taste. Kate uses natural ingredients in her products without the harmful chemicals that damage our health and our environment. Xanthan gum is perfect for bread, sauces, soups, shakes, gravies, smoothies. A confirmation email has been sent. Please click on the confirmation link and you'll be immediately emailed the download link for the free ebook. Important Disclaimer: The information contained on Bodyketosis is intended for informational and educational purposes only. Any statements made on this website have not been evaluated by the FDA and any information or products discussed are not intended to diagnose, cure, treat or prevent any disease or illness. Please consult a healthcare practitioner before making changes to your diet or taking supplements that may interfere with medications. 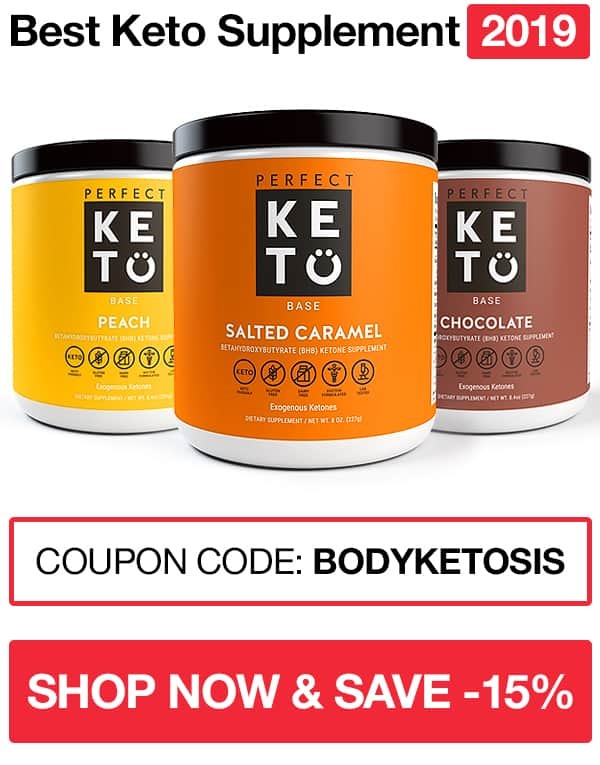 Bodyketosis.com is a participant in the Amazon Services LLC Associates Program, an affiliate advertising program designed to provide a means for sites to earn advertising fees by advertising and linking to Amazon.com. As an Amazon Associate we earn from qualifying purchases. 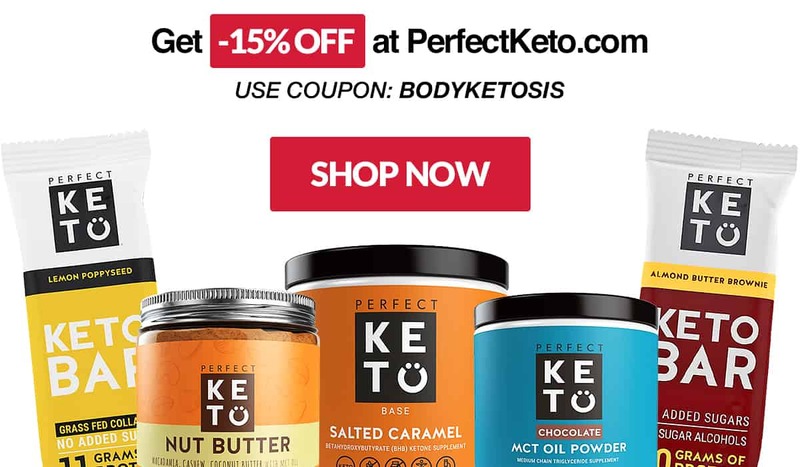 Copyright © 2019 by Bodyketosis.com. All rights reserved.